Investing.com – First it was palladium’s turn and now gold is racing to new highs above $1,300 an ounce, leaving other precious metals in the dust. Gold chalked up its fifth-straight day of gains as January trading ended on Thursday, finishing higher for a fourth-straight month. That was also its best winning streak since April 2016. In futures trading, gold’s benchmark April contract on the Comex division of the New York Mercantile Exchange hit 9-month highs of $1,330.15, before settling up $9.70 at $1,325.20. For the month, April gold rose by 3.4%. The spot gold contract, reflective of trades in physical bullion, was down by a modest 37 cents at $1,319.34 by 4:00 PM ET (21:00 GMT), after making a nine-month high as well at $1,326.32. “Gold is continuing to power above $1,300 as asset allocators are beginning to get more investors asking for precious metals exposure in their portfolios,” said George Gero, analyst at RBC Wealth Management in New York. Even so, some market pundits think gold will come off its highs soon and be trapped in a range. 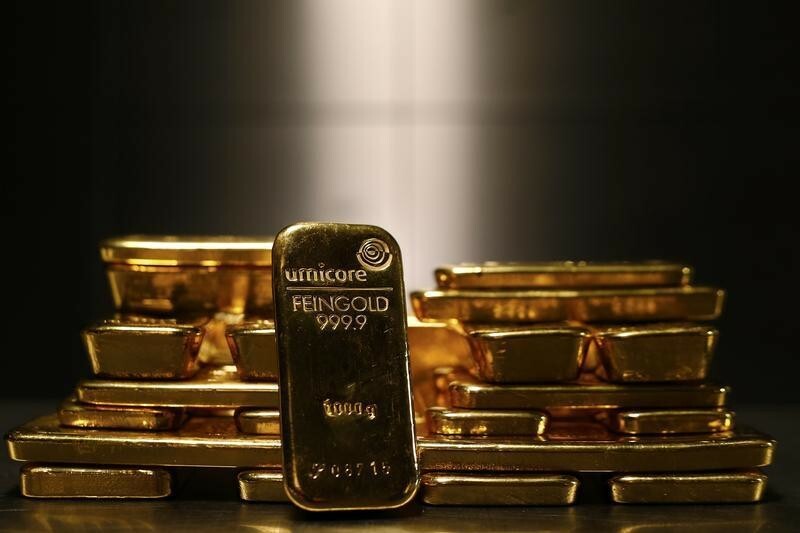 A Reuters survey of 36 analysts and traders published on Tuesday showed the average median forecast for gold in 2019 at $1,305, only 3% above the 2018 average. The poll concluded that a price breakout could be expected only in the coming year, with a high of $1,350 forecast for 2020. Even then, that will be below peaks of $1,374.91 seen in 2016 and $1,366.07 hit last year. But gold’s momentum at the top seems to be telling a different story. And some analysts are more bullish on the metal. Standard Chartered (LON:STAN) precious metals analyst Suki Cooper recently told CNBC that she expects gold to average $1,325 by the fourth quarter of this year and even attempt to breach $1,400 in 2020. Gold has traded under $1,400 since September 2013. The spot price of palladium traded at $1,342.85 per ounce, down $16.55, or 1.2%. Spot palladium briefly traded above gold earlier this month when it hit record highs of $1,440.35 on Jan. 17, making it the world’s most valuable traded metal. Gold has hit even higher levels previously, rallying above $1,900 in 2011. The most-active palladium futures contract on Comex fell by $10.25, or 0.8%, to $1,306.15 per ounce. In other precious metals on Comex, silver futures gained 13 cents, or 0.8%, to $16.06 per ounce. Platinum futures rose by $6.95, or 0.9%, to $823.15 per ounce. In base metals, copper gained 1.4 cents, or 0.5%, to $2.78 per pound.